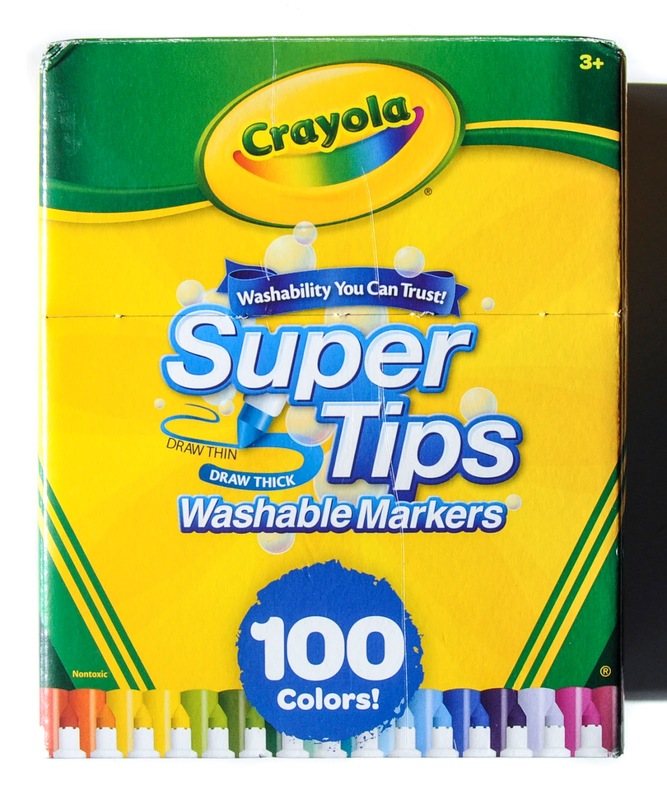 Crayola came out with 100 Crayola SuperTips Washable Markers and I can not be more excited. There are 100 unique colors in the box. 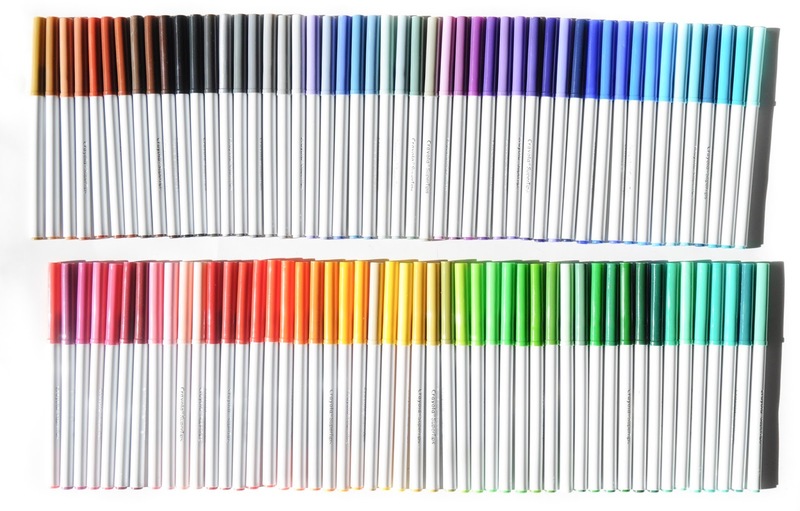 None of the colors were exactly the same when I sorted them in color order. I received confirmation of this when I asked Crayola for the color list and there are 100 different color names. I love using SuperTips for coloring because they are very good for detail work at the tip, but can also be used for thick lines by using the whole marker. The price tag is a little hefty, I think they were 24.99, but I used a coupon at Michael's to make them more affordable. I found them during back to school time. This is a great box for collecting. They come in a box that is easy to keep and store. I really wish they would print the color names on the sides of the markers. Other boxes: This is the first 100 count Super Tips Box. Are you sure there aren't just 50 colors doubled? 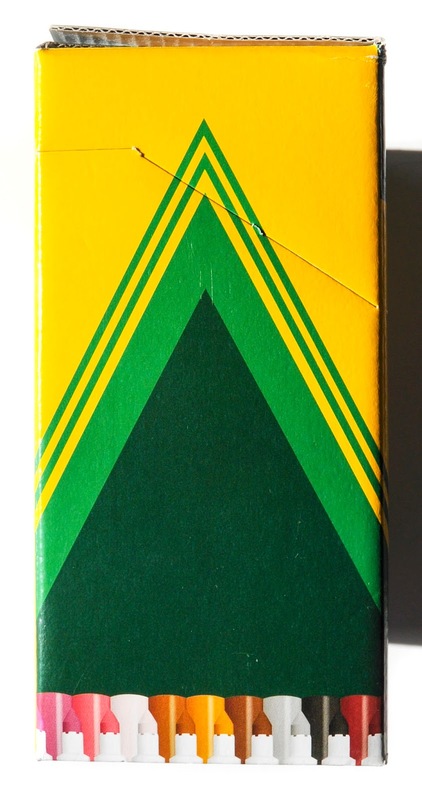 The color dots on the back of the box is just 50 colors repeated in opposite directions. I recently bought these. There are 100 individual colors. I took the time to swatch all of them. I'll got them also and thanks for answering my questions. 1.Are they good for coloring? 2. What are the colors are they in order?, I am so confused of the colors. Of your collection of your crayola collection? And I do have the color list for the colors in the box. I just got it from Crayola. Do you know what the other three colors are? There seem to be only 97 in the above list. I added them, thanks Dawn! Do you know what the last three colors are? It seems there's only 97 in the list above. Do you have a link to the color charts you have done so far? I, too, share your frustration when colors do not have names on them. 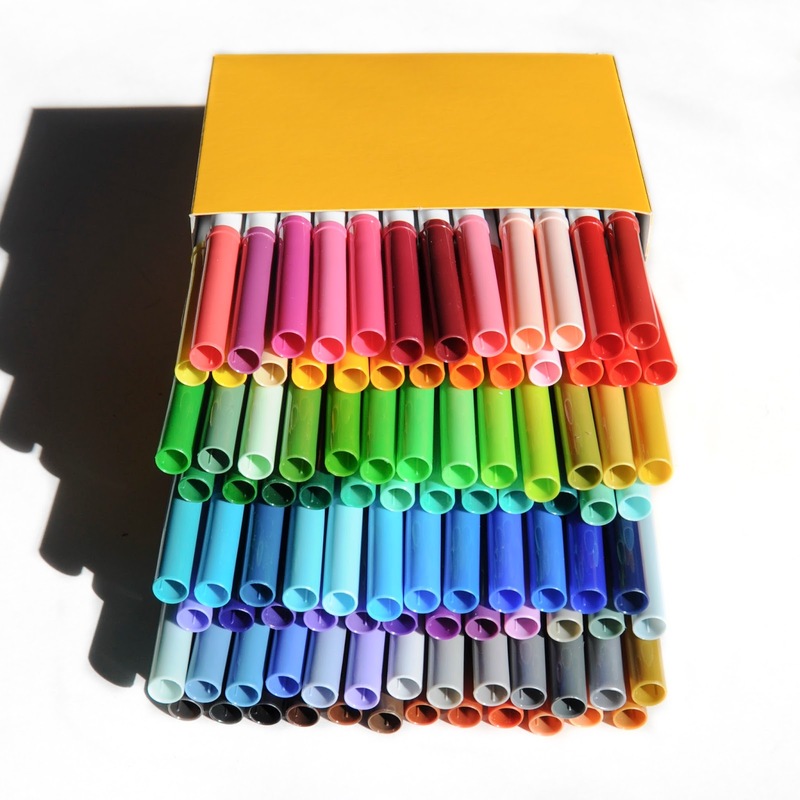 Will you be doing a color chart for the 100 supertips? I bought these and at first I was skeptical because like you said the colors on the box looked like they repeated but it is truly 100 different colors! So much fun with these markers!!! Hi I have a nice 50 pack of super tip markers and I'm very happy with them. I'm not able to find any color pack mentioning Fushia . What color can I sub in or what pack can offer a shade close. Thank you! Hi Jenny Wondering what color I can sub in for fuchsia? I have a 50 pack Super Tips. Thank you for all the hard work you put in when posting color charts on your website. 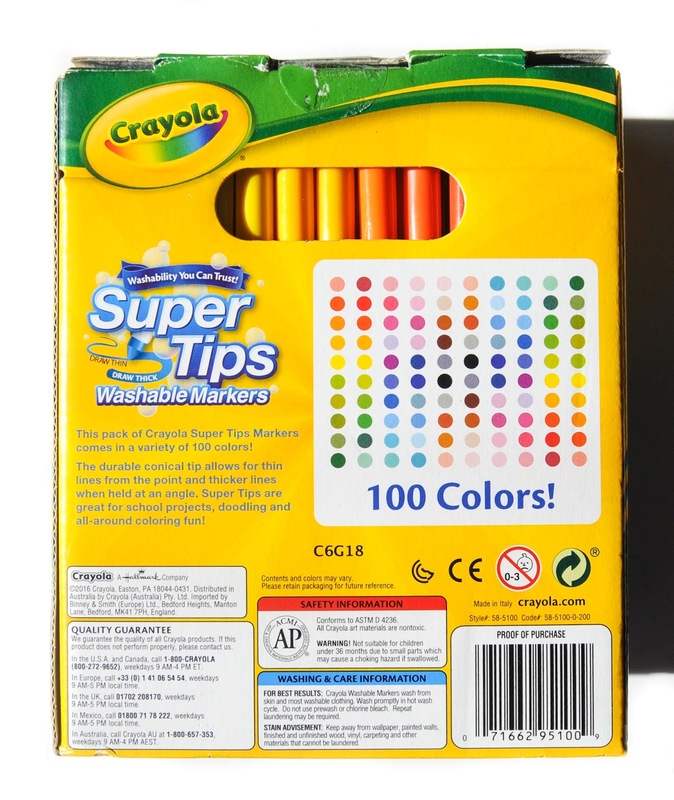 I was wondering if and when you might post a color chart of the crayola supertips 100 pack of markers. One with the name and color like you have done for the crayons. I m at a lost when it comes to matching the color names to a particular shade of marker. I'm sorry I'm at a loss too. The back of the box doesn't name the colors and it would be complete guess work for me. Maybe we can try contacting Crayola to see if they have some kind of color chart.